3 Year Blogiversary--Cricut Mini Giveaway!! 3 Year Blogiversary–Cricut Mini Giveaway!! Well my lovely readers, it’s my blog’s birthday! Three years since I pulled up Blogger and started a tiny little nothing of a blog that I named after my Etsy shop, Honeybear Lane. And three years later…wow. I can’t believe all that we’ve been through (sniff!) If you want to read a little about that, check out my Blog Story Part 1 and My Blog Story Part 2. To celebrate, I want to do something for the people who make everything possible–YOU. So I rounded up some giveaways for the rest of this week that I think you’re gonna like! Today’s giveaway is…. A Cricut Mini and Toolkit! Cricut was the original craft cutter made by Provo Craft. They have a bunch of fabulous machines and you can choose the one that is right for you! But whichever you choose, you will be sure to get a high quality end result. You should checkout the site to read all about it because there’s a lot of interesting information. I have a Cricut and it’s super easy to use! I got big plans for me and my Cricut in the future. I also gotta say that I really love Cricut as a company…they are SUPER blogger friendly and all so nice. They truly want everyone to be able to develop their creativity and discover the fun in it. I have so many projects swirling around in my head I’d like to complete and a cricut would make life so much easier. I see all these cool projects on pinterest and a cricut sure would make them easier! Congrats on your 3 year anniversary! Love your blog and all of your wonderful projects! I’d love to win a Cricut to decorate things in my kitchen such as the different canisters so they have nice labels on them instead of the ones I purchased from Tupperware years ago that aren’t very pretty looking. I also would love to be able to make much cuter cards for those times I want to send someone a special card. My *almost* DIL and my son and newest Granddaughter are living with us right now and I know the DIL would be thrilled for me to win as well. She loves scrapbooking and has been working on making one for our Granddaughter who will be turning 1 year old just before Valentine’s Day next month. This would be awesome for her to use to help her make the pages SO much cuter than she has the capaibilty of doing right now. I’ve never used a Cricut but it looks fun and would be super helpful with all of the kid parties I’ve been planning! If I was lucky enough to win a Cricut I would gift it to my niece as she’s a huge scrapbooker and paper crafter. I also know she would let me use it when I needed to. I have a lot of crafty projects in mind. Congrats on three years! Thanks for doing a fun giveaway! I’d love to use it to make some wall decals, and lots of other crafty projects. I have a baby due in July and would love to use it for cute baby things and for decorating and scrapbooking. I love sewing and quilting and would use this everyday! I’ve had a circuit on my wish list forever:) Happy anniversary-congrats on three years! Love, there are so many things I could use a cricut for!! I would love to begin projects with this amazing piece of equipment! Happy Blogiversary! I would love to use it for crafts w/ my son & finally be able to make my own adorable invitations!! So many things that I could do with it!!!! I’d love to use it to make cute labels and things to get my house more organized! lovely! Thanks for giving this away!! I have been looking at this for awhile and would love to use it to make Valentines for my girls classes to start. They just look like there are endless possibilities! I love all thedifferent things you can do with a cutter, vinyl, cards, fabric, decor! This would be so awesome to have! There are so many possibilities of things I can do with it, like monogram bottles for my little one. I have been wanting one for years to get more crafty with my kids! I would love to have a cricut. We haven’t been able to afford one yet. My husband just finished school. We are still playing catch up from having 2 kids and him in school. Congratulations! 🙂 Hope you have many more years! I’d love to win a Cricut because once upon a time I was all caught up with my scrapbooking, and then I fell behind. I’m like 10 years behind at this point! My sister bought one for herself a few months ago and I got to see her use it once. It’s so handy! I’m sure it would go a long way in helping me catch up on preserving memories! Would make a good addition to scrapbooking. Happy Birthday and Congrats!!!! I am just getting started on creating a blog myself! I hope I can be in your situation 3 years from now! If I won this Cricut I could definitely use it and be soo well worth it! I would love to win a cricut so that I could spend more time crafting with my daughters and make some amazing projects! Happy 3rd Blogiversary! Love this blog! I have been dying for a cricut!! I want do some serious crafting with vinyl! Plus I would love to try cutting fabric! It would also be nice to have for my little ones school projects! I can see lots of uses with sewing! Endless projects in mind for this little beauty! Oh how fun! Thank you! My sister has one and I’m always borrowing it from her. I think it’s time I get my own. This would open up my craft world to so many more projects! The tool kit looks like it would come in handy! And happy blog anniversary! I would use it mostly for cutting vinyl for painting projects! i used a friends for a canvas word art project and LOVED it. Congrats on 3 years. I made a puff quilt for my granddaughters crib and it turned out adorable thanks to you! Would love a cricut to cut some fabric for another project I have in mind. i’d love to try some vinyl, glass etching etc! with it! I would love to be able to create my own things and not have to bother someone else to make it for me. I hope I win! I would love a cricut because I make alot of cards and it would make it so much easier! Would love to win, congratulations on your milestone! Happy 3rd Anniversary! I love to follow your blog! You provide a lot of ideas for crafting projects. Thanks so much for the opportunity to win a Cricut! I don’t have one but would really love to try it! I’m a huge Pinterest fan. I would love to make some of the cute crafts I’m always finding on there. I would LOVE to win a cricut because I’ve never used one and it would be awesome for crafting!!! 3 years… that’s amazing! Congratulations! This tool looks to be fun, fun, fun! I would love to win. I would use it to make labels for all my kids toy bins. I want to win a Cricut to decorate for my daughter’s 5th birthday party in May, and also to make some vinyl designs. Would love to win…I’ve had my eye on any of the cutters on the market but I just can’t bring myself to spend the money on one. Congrats on your anniversary!!! I would LOVE to win this!!! I would love to win so I can have more ways to get my craft on!! I would love a cricut! I would go through Pinterest and pin all those ideas I’ve left behind that require a cricut! I have three girls that LOVE crafting, and this would be so much fun to create things with them! Happy 3 year blogiversary! I would like to win a cricut because I don’t have one and my daughter and I love to do crafts together. Would be such a handy little thing to have around!! I am a new crafter and would LOVE this! Love the blog too. I would love to win a Cricut because I’ve never used one and I’ve seen on Pinterest the amazing things people do with it. I’d start by making labels for the mason jars in my kitchen where I keep the groceries and also for the many jars I have in my craft room to keep things (sort of) organized. Thanks for the chance! Happy Birthday!!! Love the cricut. This would be a great help for my applique. Keep looking at them at the stores. and wishing! I would love to win a cricut to make cards! So I can get my craft on!!! Oh my! I have a tonne of ideas and projects to make with a Cricut… but my first would be cutting fabric shapes!!! 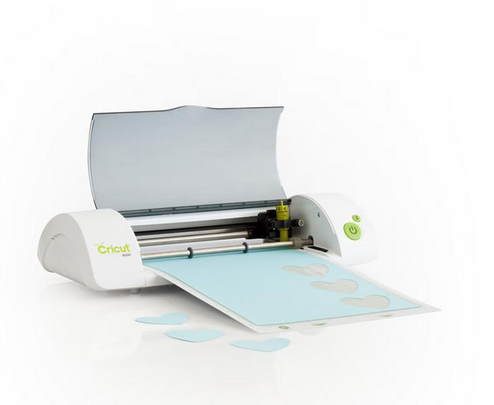 I have so many ideas in my head and I need this cricut to make them materialize – it has been on my wish list forever! Happy Anniversary and thank you for all the great posts. How amazing would it be to have a cricut? That is the best giveaway ever! Congratulations on three years! Your projects are so inspirational. I’d love that little cricut to cut vinyl decorations and to make cards, and applique, and oh my!!! So many ideas! I love making cards for everything! A cricut would make lots of designs much easier! I want a cricut because I see so many fabulous ideas in blogland that I want to make! Congrats on your 3 year anniversary! I’d love to win the Cricut to use for my business! I would love to make cute decorations for each holidays with kids so we can create lots of fun memories together! I would love this because I am working on a few projects that this would be great for! Thanks! I’d love a cricut to make appliques a snap for my quilts. Thanks for the giveaway and happy blogiversary! I have always wanted to try subway art…just never had the extra money to invest in a cricut! I’d love to have a Cricut so I could make my applique ideas “come to life” more quickly. Happy 3rd anniversary and thank you for sharing the fun! There is so much I could do with a cricut. Thank you for the opportunity and Happy Anniversary! I would love to add this to my craft room. I could make so many fun things!! I would love to win one of these because there are so many projects I could do with it!! Happy Bloggy Birthday! What a great giveaway, I hope I win!! I am a teacher–the things I could do with this handy dandy machine! Ooh, what wouldn’t I do with the circuit!?!? Great giveaway! I’d love to win so I can make birthday invitations for my daughter!!! Thanks for the chance at the giveaway! I love your blog!! Love your blog! I’ve gotten so many great ideas from you. I need a CIRCUIT SOOOOOOOOOO badly! I have had to design my own stuff for years, and I want this more than anything. The circuit is pretty cool, and I can’t believe it does all of those fabulous things. I could do what all of those cute young gals do, create beauty. THX! I have forever been seeing what people make with these things. I would love to have one to create with! I want to create more paper art and a Cricut would be great to do it. I’d love to win it to help with some projects with my daughter’s upcoming wedding. thanks for a chance! I’d love to win this! Congrats on your anniversary ! I would love to win the Cricut because I would use it in my preschool classroom to help encourage and inspire the preschoolers creativity! I have the original Cricut and love it but always have to lug it upstairs if I want to customize my printing. With the mini, it will be small enough to leave set up on my workspace upstairs and I can go online and print stuff right away. Seems so much easier! Thanks for the chance to win. What a beautiful machine! I have been drooling over this little beauty for a long time. Unfortunately, I , at the age of 65 have never even won a goldfish, but hope springs eternal! Thank You for the chance to win, and all the beautiful patterns you list. Recently quit work to stay home with my 5 children and want to get more crafty. I have been using a Cricut for about a year now and it is wonderful. I enjoy doing vinyl projects and also cards and Bible Class projects. Would love to win the mini version to do quick projects. I would love to win this for crafty projects! Me and my sister would make all sorts of fun things…for school, for the kids, for work, for ourselves and for gifts!!!! Thanks for the fun giveaway. Congrats on you blogaversary. I’ve wanted a Cricut for ages– there are so many fun things I’d like to make for our home! I’ve always wanted a cricut! So excited for the chance to win. It would be so nice to be able to cut small shapes out without spending hours doing it by hand. I’ve got preschoolers and we uses lot of shapes. I would love a Cricut to do lots of paper crafting – I’m not too handy with scissors! Oh I have been wanting a circuit forever! My Daughters BFF, who I craft with, is a single Mom, going back to school to make something better of herself for her Little Mr Man. She is such a GREAT kid & she loves to come over to craft w/ me & play w/ my Cricuts. She cannot bring Mr over w/ her as my house is not child proof & he is a whirlwind of cuteness who cannot be still! It would be so great if she had her own machine so shecould craft at home w/ her Mr & her Mom. Thank you for this opportunity. I love anything crafty this would be the perfect addition!!! I love my Cricut it is the 6 in one so anything newer would be awesome. I have learned to do a bunch of new stuff since I have had it. I would LOVE a Cricut Mini and tool kit! It would allow me to bring it to my neighbor’s (and best friend) house and let us craft together! We have not been able to for some time and I really miss the time we used to spend crafting together. She is one of the few people I have ever met who , when we are together, can say nothing and part knowing we spoke volumes. Thank you for the pportunity to win one of these great machines! I have used the Cricut before and LOVE it. I’m a teacher and we have been trying to get our PTO to purchase one for the teachers to use at school with no luck. This would be a great early Staff Appreciation gift! Thank you for the chance!! My mom owns a cricket and I’d LOVEEEE one!! I would love to win because I have only a Cuttlebug that I have been using for ages. I see all of those sweet projects, they make my jaw drop. I would so love to win one so that I can satisfy my “greed”. I have so many projects that I want to make and a Cricut would make it som uch easier!! Thanks! Thanks for a great opportunity, new to following you but I love to get new ideas! I would love to win a Cricut Machine!! I’ve always wanted one!! I’d love to win a Cricut so I can make fun and crafty cards and decorations for myself and my friends. I’d like to win a Mini so I have a machine that works with the Cricut Craft Room. Sadly, my Imagine gets the hiccups with CCR. If I won this Cricuit and tool kit I would give it to my daughter for her one year anniversary of sobriety. I want to win so i can do projects around the house and birthday stuff. I would love to win the Cricut Mini because I would really like to learn to use the computer designs! Thanks for the opportunity to win! I am in desperate need of a Cricut to work through my Pinterest Craft list and get my Design business underway! Actually I already have a Cricut but I would love to give this to my sister for her birthday! I’d love to own this mini as packing up my full size cricut is tiresome. I LOVE LOVE LOVE Cricut! would love to have a mini rather than a larger one next to my computer, free up desk top space to work on! TY and congrats on 3 years! Just found this site….great ideas, I’ve been super inspired! I have my daughters first year to scrapbook and I would love to be able to add detail with the cricut. I would love to win a cricut mini to craft with my granddaughters with. Thanks for the chance. Thanks for the opportunity to win such an awesome prize!! Awesome! I just purchased my Cricut so this would come in really handy! Thanks for the opportunity to participate in the drawing. I have never seen a Cricut mini. Interesting. Would love to experiment with it, doing little projects here and there! Oh, how I would love to win your great prize. Congrats on 3 years! Happy 3 year anniversary! Congratulations! I would love to win this cricut so that my kids and I could do crafts together! Cricut is the best…thats why I entered to win. Happy Blogaversary!! Awesome giveaway!!! Would LOVE to win a mini!!! Congrats on your 3 years! A Cricut would be a great addition to my crafty world. Crafting would be so much fun with cricut. Gosh congratulations on your 3rd year anniversary and thanks for the giveaway. I hear the mini is an awesome. powerful machine. Sure hope I win! Congrats on 3 years!!!!! Thanks so much for a chance to win. Because I love to craft, and I haven’t tried a Cricut before. These are the best machines, who wouldn’t love to win one!!! I would love to win this. I can already think of all the things I could create. 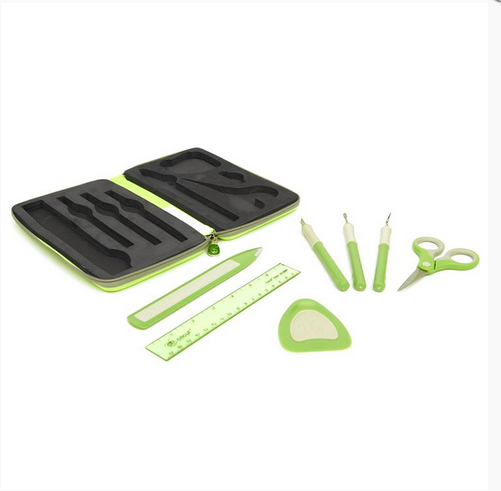 I’m a scrapbooker and would love to add this to my tools! I’ve borrowed a Cricut Expression several times, but it’s getting to the point where it would save SOOO much time to have my own machine! With all the card-making, scrapbooking, organizing and decorating I’ve been using paper and vinyl cuts for, it’s getting kind of crazy to gather up all my supplies and head somewhere else just to use a Cricut! I keep telling myself I’ll save up or make some items to sell and buy one, but some emergency (like car repairs and home repairs after storms) keeps popping up in time to eat up whatever I get saved. 🙁 I’d love to win this, and see how much fun I could have with my very own Cricut! Oh I would really love to win the mini!!!! I love my baby bug, but its 3 years old and gone through lots of use. Its starting to give my problems. Please pick me!!!!!! HAPPY Birthday!! I would love to win a Cricut!! How awesome is this that you are celebrating by giving away “birthday” presents. 🙂 Once again, Happy Birthday and many more!! I would love to win a Cricut because I love making things for people. Making people happy is like chicken soup for the soul! Thanks for this awesome giveaway!!! Love Cricut!!!! I would love to win a Cricut Mini and tool kit so that I could craft more for the people in my lives! I’d love to win the cricut mini because then there would be endless possibilities for scrapbooking and cardmaking and other craft ideas. Happy anniversary! Just had baby number six and oh what fun we would have! Thanks for the opportunity! Why do I want to win a Cricut!? Why not? Love making cards and scapbooking! What a great tool for crafting! Thanks! Congratulations on 3 fabulous years! I’d like to win a Cricut because I have the original personal cutter & have worn itbout on My dear daughters Social Studies & Science projects. Ive recently been inspired by a Team Spirit cartridge I received for Christmas. Check out my FB page for pictures of water bottles I’ve made for her whole cheer team as well as a basketball & eagle bottle. I have been wanting one for a while and this would be the perfect gift! I love to craft and could create so much more with this! I want to create fabulous scrapbook pages of my grandchildren and family. One of the few cricut machines that I don’t own…it would be an awesome add to my collection! congratulations on 3 years!!!! Thanks for a chance to win. The mini would be awesome to have. Congrats on three years.. Looking forward to 3 x 10 more at least.. I want to make the things I see on everyone’s blogs!! I want to make everything. LOL! I could really use a Cricut to “spiff” up my scrapbook layouts and cards. It’s a wonderful prize….Thanks for the giveaway. Facebook Cricut sent me….Congratulations on 3 yrs bloging. Why would I like to win a Cricut? Because I’m helplessly addicted to paper and paper crafting (as well as fabrics, yarns, textiles,etc…you get the picture)! Thanks for the fun giveaway and happy birthday to your wonderful blog! I love paper crafting and would love to win this prize. Have a million projects buzzing around in my head. Thanks for sponsoring this contest. Would love to have a portable cutter. I have always cut all my scrapbook & paper crafting creations with scissors. Unfortunately I will soon no longer be able to do any crafting with scissors due to RA, which has hit my hands hard & quickly. I would like to win the Cricut so that I may continue to do the one thing that brings joy and the feeling of accomplishment. Comgrats on 3 years! I’d love a cricut! We’re moving into a bigger house soon and I have lots of decorating and organizing to do plus I get a craft room so this would be a perfect addition to it. Thanks for the chance to win one! I would love to win a Cricut, because I can’t afford one right now. I’m currently on unpaid medical leave, but look to crafty things to keep me busy…..pass the time. Happy anniversary, and hopefully many more anniversaries to celebrate in the coming years. Congrats on your birthday. Mine if 2 Feb and I plan on have a scrapping good time. I would love to win it so I could make layered titles for my albums. Thanks for the opportunity to win it! I would like to win the Cricut because of all it can do with paper, fabrics and since I love, love, love making cards and scrap booking – this would be the most fantastic thing ever! And don’t get me started on decorating – OMG! I’d love to add cute things to my scrapbooks. A Cricut would just be so dang useful! Happy Blogiversary! I would love a Cricut mini because I would love to use it with the Cricut Craft Room. I would love it for scrapbooking. I would love to win this prize and be able to share with my grandchildren when they are here. Making hand made items is a gift that is appreciated so much more. I’ve seen so many crafts that us a critcut. I don’t own a cricut yet and would love to have oe. 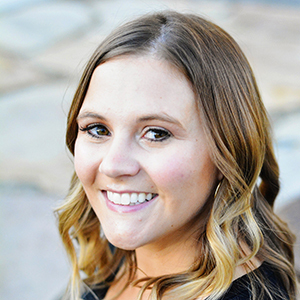 Congratulations on your blog! I’d love one of these- every time I see one I ponder if I can afford it!! I have been looking at the Cricuts for a few years now…and still cutting my paper creations by hand! A little technology would open up the possibilities for sure! I’m just starting to do crafts, and I’d love to have a circuit mini to use!! This will be really useful and easy to take to my daughter’s class to help the teacher with her projects, like Valentine’s, St. Patrick, Christmas etc. Thank you so much for the chance! Happy 3 years! Happy blogiversary!!! I would love to win a Cricut. I’ve drifted away from paper crafting and a Cricut would be just the thing to bring me back to it. So many things I could make! Valentines come to mind! Just gettin into the card and scrap stuff… my daughter and sister LOVE LOVE< LOVE it …. so I am jumping in with both feet ! HaPpY biRThdAY ……. I would love this mini Cricut!!! Happy Blog Anniversary! I would love to win a Cricut!! I’d love to use it for freezer paper stencils and paper cards. I would use it for scrapbooking and crafty projects for my homeschool. Oh, I would LOVE this!!! So many fun projects stirring in my head. Thanks for the chance! I have wanted one forever! There is just so much you can do with a Cricut. I would LOVE to win this!! I have four kids and recently got into scrapbooking and have a LOT to catch up on!! This would be a fun tool! Great giveaway! I need something like this for all my craftiness! The things I could do with it! Invitations, decorations, party decorations. So much! Thanks for letting us have the chance. Happy Blogiversary! I would love to win because my entertainment is all kinds of crafting. We have moved into an old farm house and have been trying to upgrade the rooms little by little. I think I could create many fun things with this. Thanks. Congrats on 3 years. Thanks for the giveaway! I would absolutely LOVE to win a cricut! I have been hand cutting all my goodies for our daughters baby scrapbook and would just love to be able to make it that much extra special. She’s amazingly beautiful inside and out. I’d love to show off her book and be proud. Thank you! I would love to win this, as it would make my crafts and projects more efficient and much better than I could do by hand. I’d love to win a Cricut to create a scrapbook from my recent wedding! Thanks for the great giveaway! Congrats on 3 years! I would love to win! I am a stay at home mom who just opened my etsy store to sjare my creativoty with others and to help with financial burden my husband carries. This cricut would be a wonderful asset to help me get this little business going. Thank you for this opportunity! !! I enjoy your post so much and you provide so much inspiration! !! What an awesome opportunity me to make all kinds of wonderful items for home organization and sooo much more. THANKS for the opportunity and congratulations on you 3 year anniversary! I would love one of these, I see everyone talking about all they can do with theirs and I admit, I get a little jealous. 🙂 Thanks for this opportunity. Congrats on 3 years! I would love to win this! I love your blog and I’d love to win!! Have two little girls that I would do lots of projects with, with the help of this machine! Happy Birthday Honeybear Lane! enjoy your posts on FB all the time in my feed! I would love to win one of these. I have wanted one but have not had the extra funds. congrats on three years and cheers to many more. I got a Cricut Cake a few years ago and love it for designing cakes and have since realized how much I need one for my non-crafting life!! Congrats on 3 wonderful years! Oh my!! I NEED a cricut..pleaseeeeee! I’m always amazed at the new things I find out about Cricuts from paper crafts to cake decorating to fabric cutting. The possibilities are endless! I really want a Cricut! Everyone I know has one, and loves it! Its about time for me to get one! Thanks for your blog! I love it!! I have been researching Cricut and debating for SO long, and definitely want to get one! Wish me luck! I have so many projects that I need to complete. I am running out of space and want to downsize from my old expression. I’m always looking at what everyone creates and I watch on TV the infomercials etc.. I’ve always wanted a cricut of any kind because I have so many ideas, just no machine to create. Being a single mother I could never afford one of any model. This would be a definite excited prize to win! I am a reluctant home body, limited by Fibromyalgia and migraine headaches. I have recently taken up crafting to share things with friends and family and keep myself busy. I have so many ideas and a Cricut would help me get these ideas out of my head and into something tangible. I would LOVE a cricut!!! Would love to win to give my daughter-in-law so that she can create and have fun like her mother-in-law does with her cricut! Love the products! I would love this! My sister has a cricut and i am so jealous! 🙂 Awesome giveway! I think the mini would be prefect for card-making! Wow…how wonderful is this?? I’ve not kept on the latest cricut products, i just think this is adorable!! Thank you for a very generous giveaway! I have a sad and abominable imitation of a mini Cricut that desperately needs the boot. It makes me sad to even bring it up, truly. Congrats on your anniversary!!! Love your blog!! I love my expression and want to expand my craft room. It would be awesome to win a Cricut Mini. Thanks for the giveaway! Pick me, pick me! I would love to win this little gem! I have wanted one of these forever!!! I want to win the circuit mini to prove that I really DO “need” one in my life! Happy birthday to you! Happy birthday to you! Happy birthday dear HoneyBear, Happy birthday to you! I would love a Cricut mini! I have had my eyes on them ever since they came out! Whoo hoo! Happy 3 years and cheers to 103 more! 🙂 I love everything and anything crafty and am doing lots of crafty DIY stuff these days for my upcoming spring wedding. Pick me…pick me! So many projects and the mini is just the right size. Thanks for the wonderful craft ideas and generous cricut giveaway! Congrats on the 3 years, and what a great treat for your readers. How cool. I wish, I wish…. Will be awesome to have this little buddy. I would love to win a Cricut to start crafting more! Happy 3 year anniversary and congrats. What a lovely giveaway to celebrate. With two little boys who love crafting and making cards with Mummy for every ocassion as well as all my sewing and quilting works this would get very well used in our house. Thank you for the chance to win one. Hi! Just discovered your site from Feather’s Flights. I’ve always heard awesome things about Cricut, but never actually tried one myself.